Credit report on a digital tablet with paperwork. Just days ago Equifax announced a massive data breach of personal information. If you don’t know what Equifax is, it’s a consumer credit reporting agency, they maintain information on over 800 million consumers and more than 88 million businesses worldwide. This company controls massive amounts of personal information about you, even if you didn’t know that. With this huge breach it’s a potential that your personal information can be used against you to open up fraudulent credit cards or loads under your name using your credit to get this money. So the question becomes what should you do to protect yourself from this breach of information and keep an eye on if something goes wrong. With how massive Equifax is, it’s highly likely that you were involved in this breach of information. 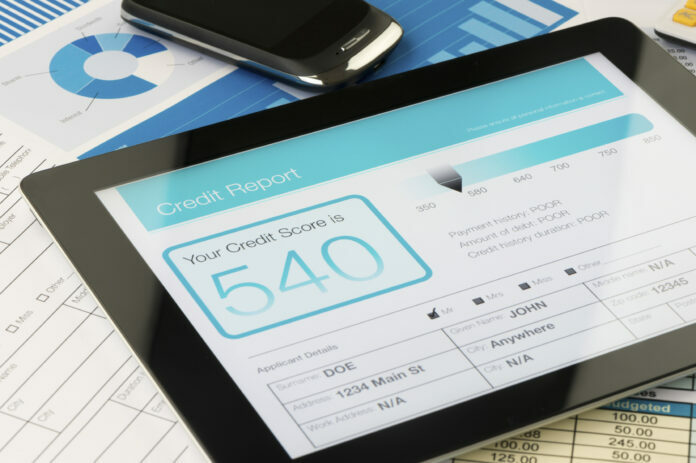 Follow these steps to keep informed about your credit. Fraud alerts are for those who have had their identity stolen and is setup to alert the user if any changes are made to their credit reports. This is mainly for those who are at an increased rise of fraud to their credit. There are many levels of fraud alerts that you can initiate, the most common is a 90 day fraud alert. To enable this you need to set it up with one of the three big credit bureaus and from there they alert the two additional bureaus to setup 90 day alerts. By enabling this it requires additional steps to verify your identity when looking up your credit. Security freezes are the next step that completely locks down your credit report putting it behind a lock and key. With a security freeze no one can access your credit without a pin or password that is setup by you. This process actually costs money depending on which bureau you freeze your credit with, one exception is if you’ve verifiably had your identity stolen. This option isn’t the best for everyone, it’s more for those who have had their identity stolen. Not only after a major breach but in general credit monitoring is a great thing to have to keep up to date with your estimated scores and marks on your report. There are many credit monitoring services out there from free to paid ones. For most people the basic free monitoring services are great. For your TransUnion and Equifax credit monitoring use Credit Karma and for Experian use Freecreditscore.com. As for general security it’s highly recommended wherever you can to enable two factor authentication, this ensures that even if your password is stolen they will still need a second way to access your account. If you’ve ever been questioning if any of your information has been stolen it’s great to check if any of your information has been contained in any breaches. I highly recommend visiting haveibeenpwned.com and entering your email to see if you’ve been listed in any breaches. While I cannot outline everything that you should do if you’re the victim of identity theft we recommend you visit IdentityTheft.gov, this is a website setup by the federal government that guides you step by step to protect yourself after identity theft. These are just a small selection of things you should consider after a massive data breach. There is not a catch-all solution to getting your identity stolen and what to do. If you do ever have your identity stolen you should consider all of your options, find advice from a professional, and weigh your options to what is best for your situation.